Flat cards have design on one side and silver- or gold-foil personalization on the other. 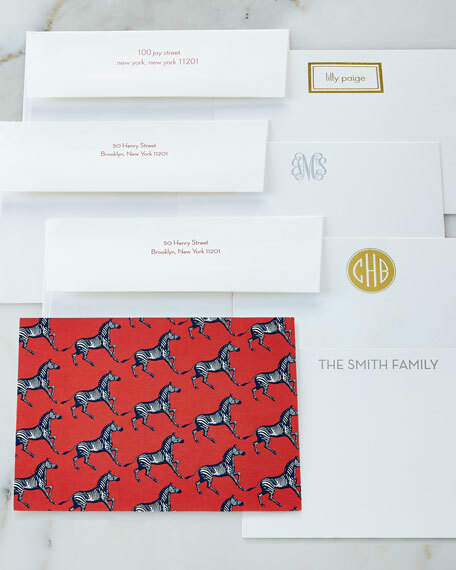 Personalization on card is three initials for circle monogram, one to three initials for script monogram, one line (up to 15 characters/spaces) for lower case, and one line (up to 30 characters/spaces) for block print. Set includes 25 personalized cards and 25 plain envelopes.